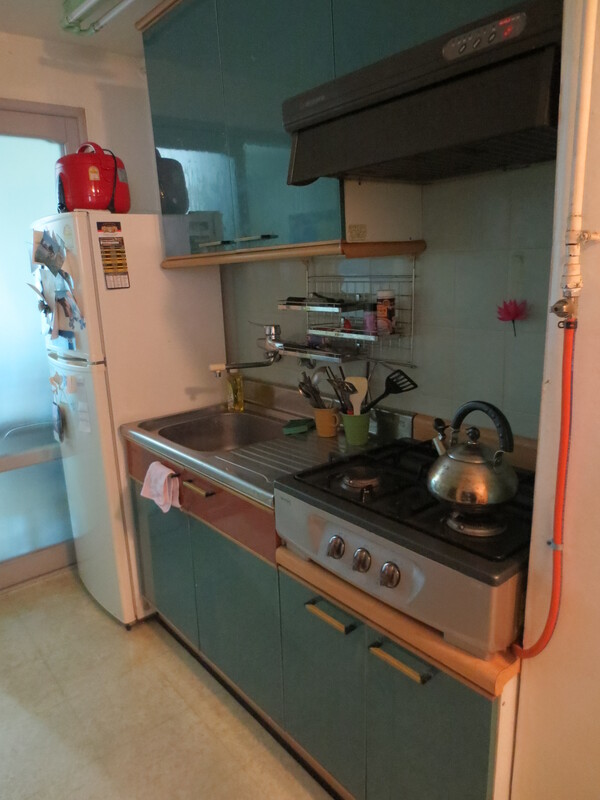 In my orientation to living in Korea, I was told to consult YouTube to learn how to operate my Korean appliances. Needless to say, I was thankful when I arrived at my new home and my rice cooker only had one button. I scoffed at my friend’s futuristic device, with a flurry of Korean characters dotting the front control panel. It paid to keep your mind open to new discoveries. With this guiding mantra, this past spring I embarked on a journey. Following two years teaching in Korea, it was time for the next adventure. 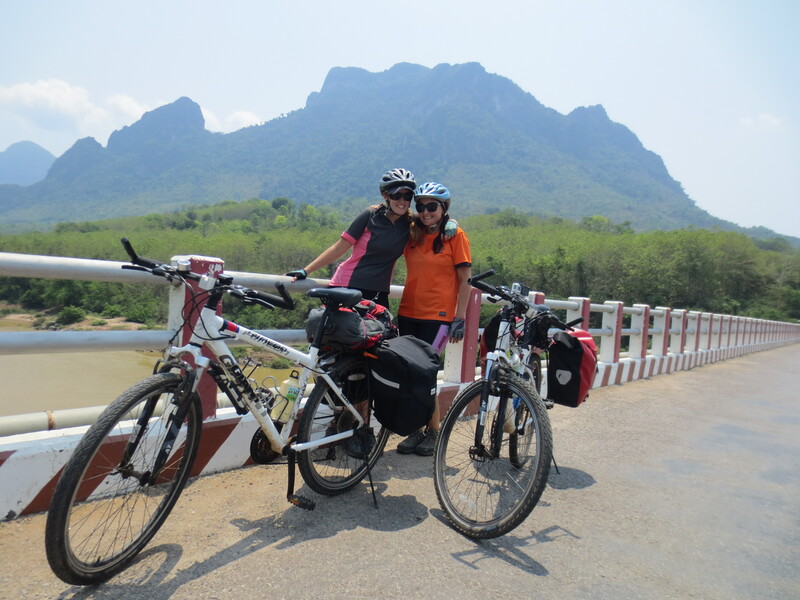 I decided to travel Southeast Asia by bicycle. Travel by motor vehicle inhibits the senses. Countless sights, sounds and smells are lost with the speed of transit. On bicycle, I wasn’t taking in the scenery – I was part of the scenery. Besides this non-traditional path to experience the region, I wanted a way to connect with the community. 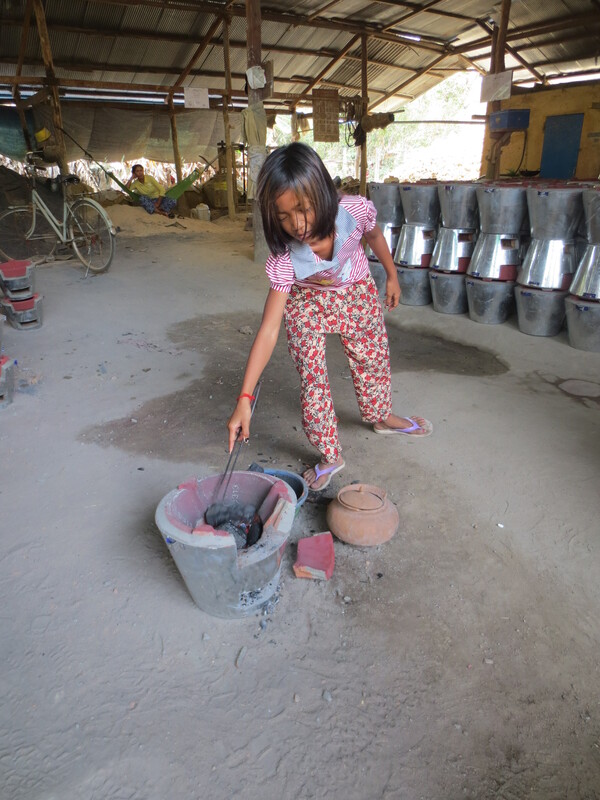 Previously, I had worked with the environmental organization Trees, Water & People on their fuel-efficient stove program in Honduras. 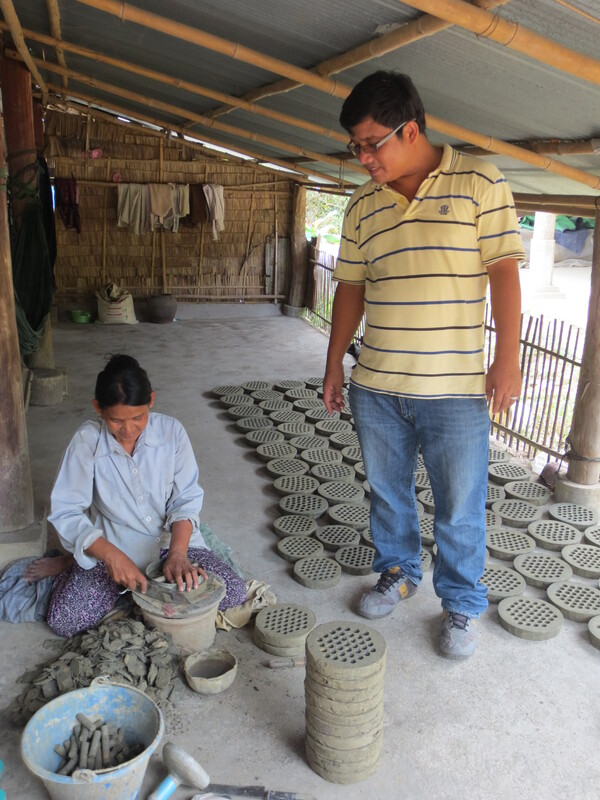 Their program works in developing countries to introduce slight modifications to an existing cook stove design for greater efficiency. 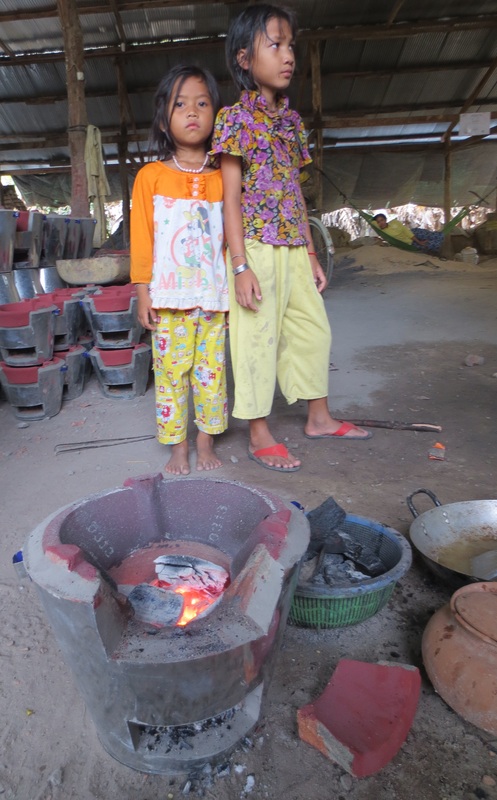 With their help, I was able to identify a similar organization, GERES, leading the way to clean cooking in Cambodia. It was decided that my riding partner and I would stop through one of the communities where GERES was active to see their work in action. 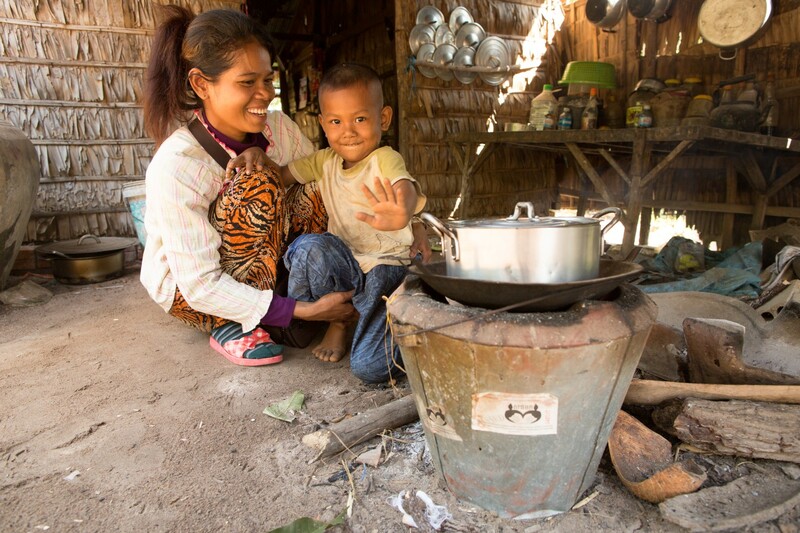 The use of stoves with modifications introduced by GERES has the potential to save up to 2 million tons of resources by 2017. 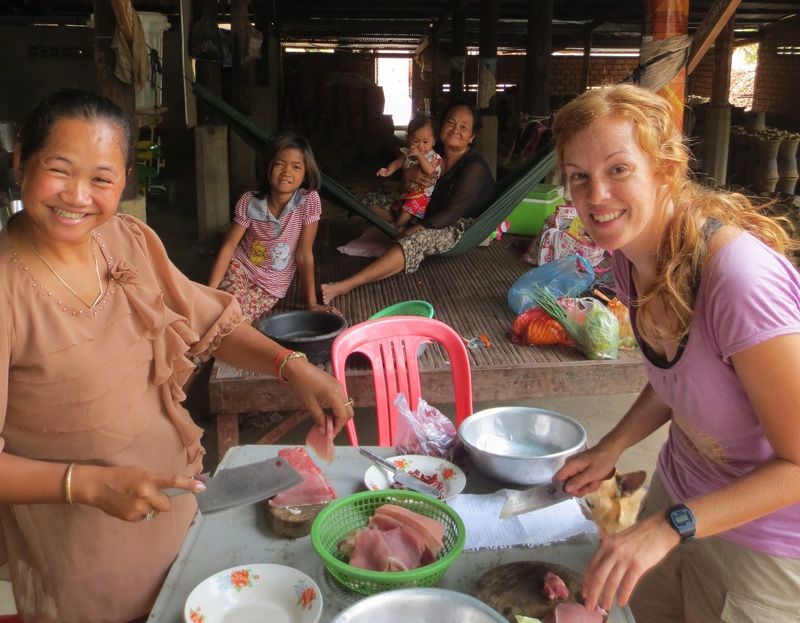 My hope was to show support for their mission, and to experience clean cooking firsthand. 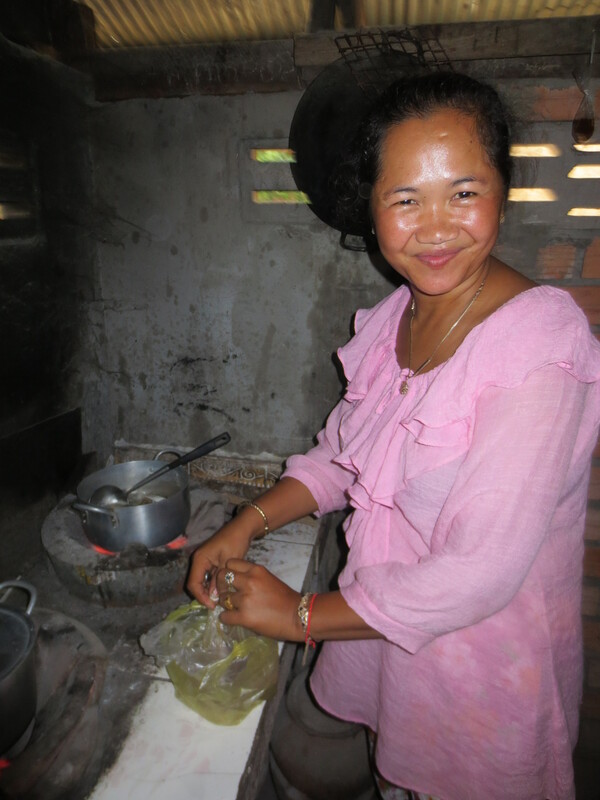 It was arranged that we would prepare a collaborative meal for the community on one of GERES’ stove models, the New Laos Stove. 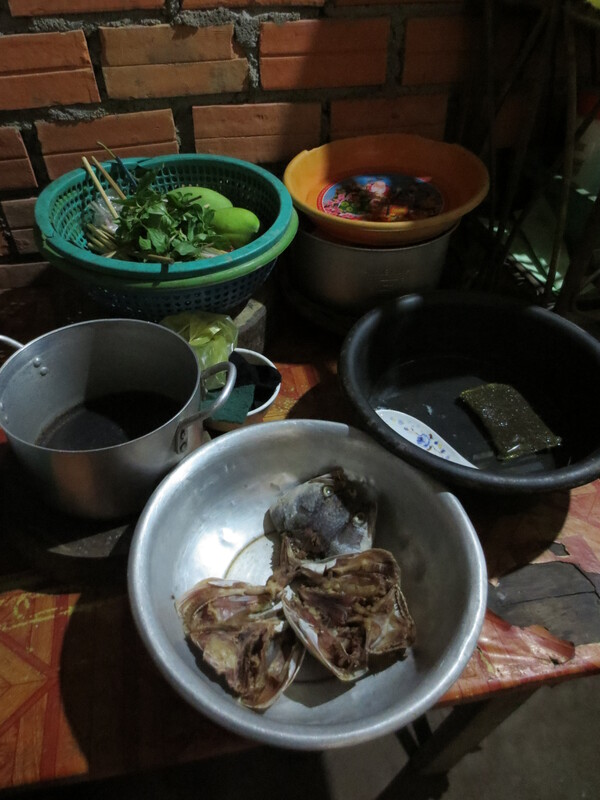 After receiving a tour of the stove production facility and a cooking demonstration by our host (read about it here), the first order of business was a visit to the market. Our brigade was made up of my riding partner and I, our GERES host, Makhara, and friendly Savy, whose home was hosting the event. With a rough sketch of a menu, we entered the web of local vendors in search of fresh ingredients. Surrounded by mounds of produce, fresh pineapples caught my attention. Encircled by spiraling ridges, my eyes were intrigued by the intricate pattern carved into the fruit. I decided that the pineapple would be of use, and we requested to take four. With only one fruit manicured for sale, we patiently waited as the vendor prepared our order. 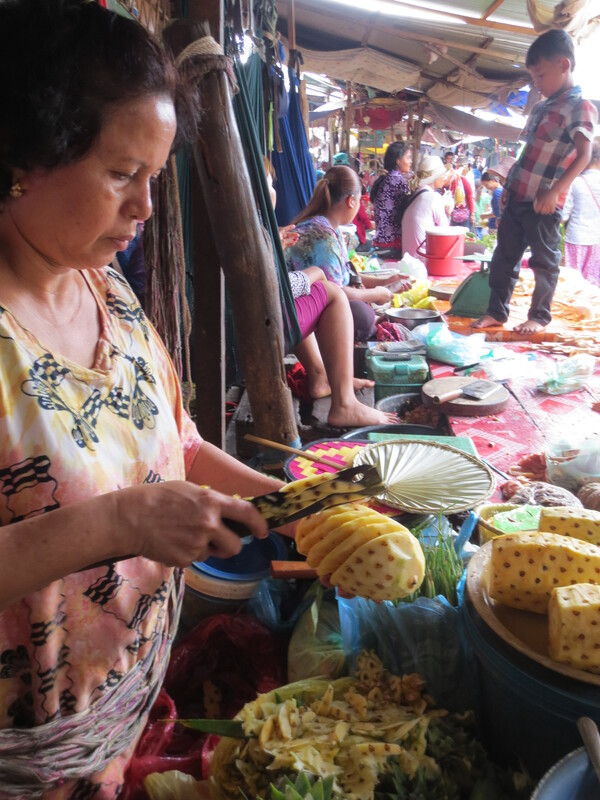 Watching the woman carefully wind her knife up the sides of the fruit, I noticed she followed a pattern. Her knife seemed to follow the spiraling growth of the fruit’s outer “eyes.” It struck me that the carved pattern wasn’t simply a facet of presentation, but an ingenious way to preserve the greatest amount of flesh while removing the sharp outer skin. Smitten by the new technique, we finished up at the market and returned to the village. 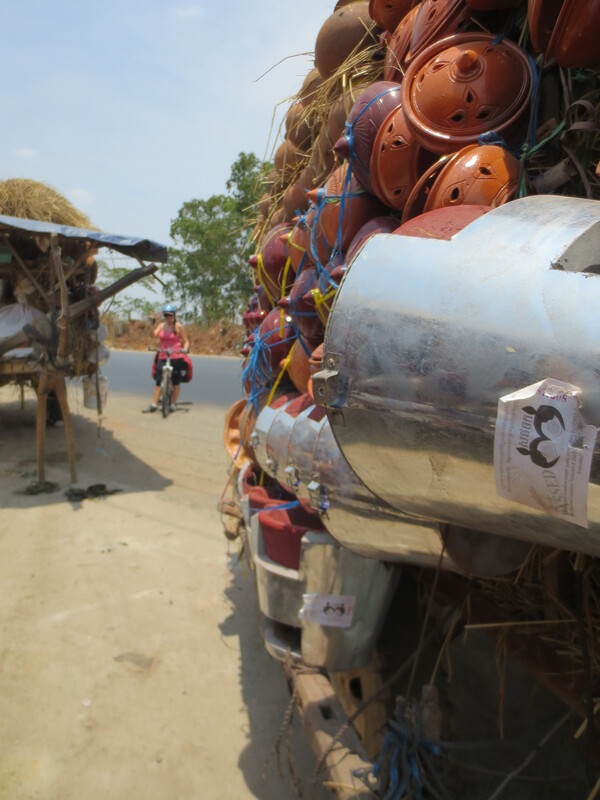 One characteristic of the New Laos Stoves is their mobility. Essentially self-contained buckets, the three sizes are able to be shifted and moved depending upon the occasion. The modified design also has a better ease of use than traditional models, with lesser amounts of harmful gases escaping during food preparation. Outside of Savy’s home, we found our set-up for the day. 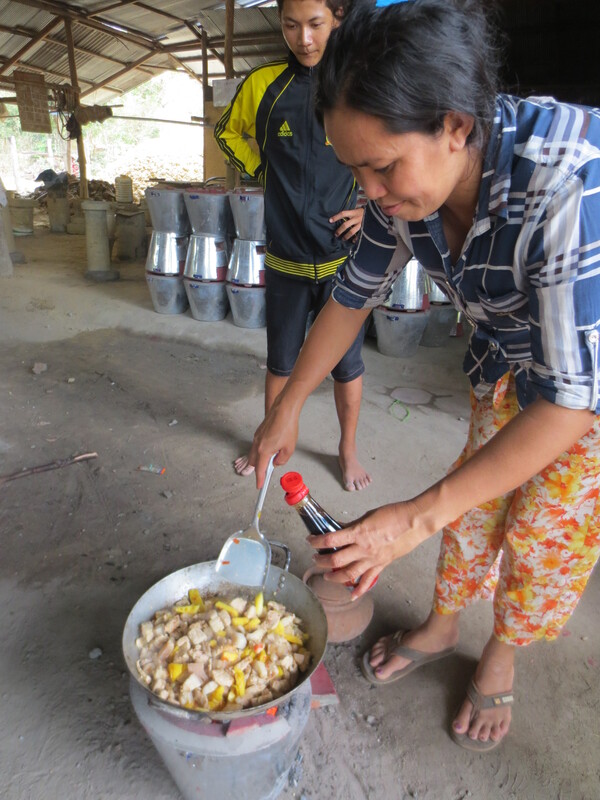 With her family’s production facility beneath her house as a backdrop, we had one large stove on the ground, accompanied by a prep table and loads of curious onlookers. We began our prep work, dicing up the pork slabs and comparing the worth of our biceps with a turn at the mortar and pestle. At some point, a loud-speaker was rolled out on a dolly, and before we knew it “Gangnam Style” was echoing throughout the village. 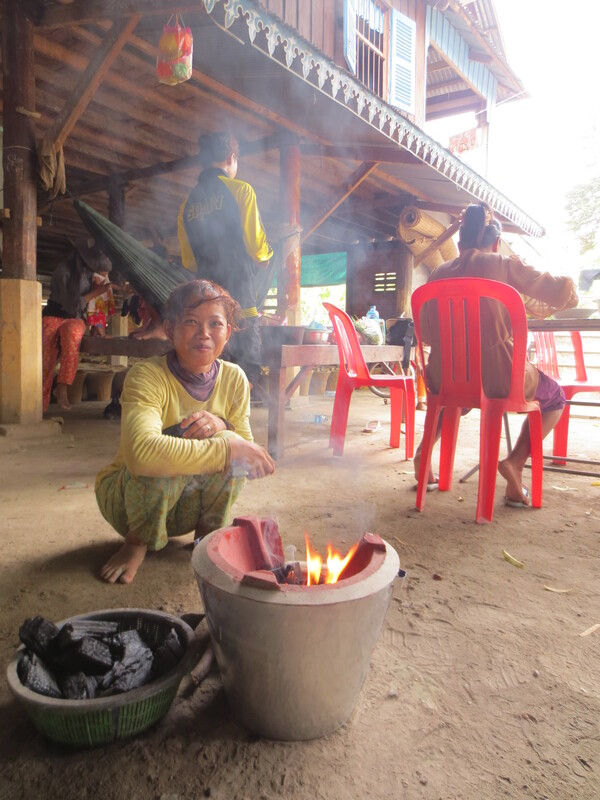 When the coals were deemed ready, we began to cook. One stove, one pot, one thing at a time. We started with the main event: pork and pineapple stir fry. We put the ingredients in the pan and the nominated stove attendant stood by, spatula in hand. As things simmered away, eventually it was time for the taste test. Skeptically, the spoon was passed around. Just as I was wondering what was missing in the flavor, someone appeared with a bottle of soy sauce. 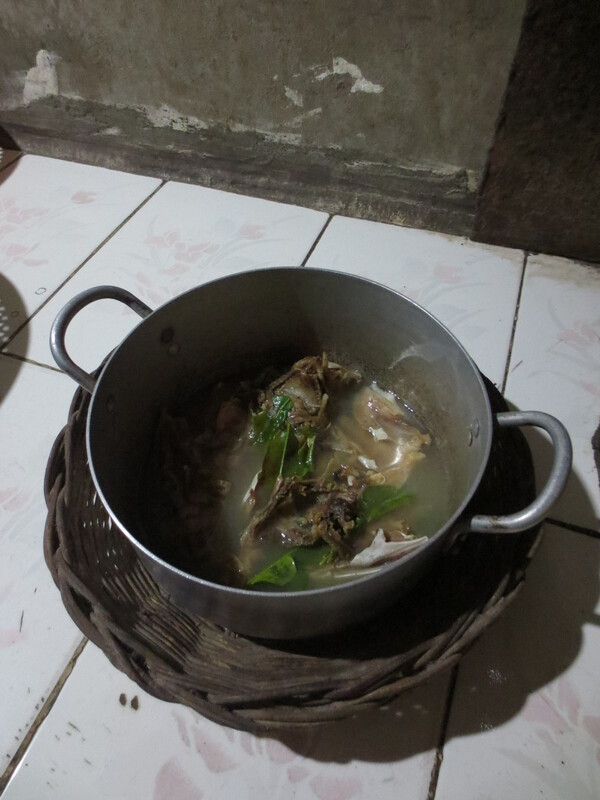 It was tipped in, along with a few tablespoons of palm sugar. Preparations continued with a version of basil fried rice, and were remedied again by the ladies’ culinary know-how. At last, lunch was ready. Our panel of discerning judges, the local children, waited on a tarp rolled out for the occasion. Nervously, I waited for the first gag. But, it didn’t come. When I got the universal signal for all clear, a thumbs up, I eased up and wiped my brow. Happy with the meal’s success, we kicked back and enjoyed each others’ company. 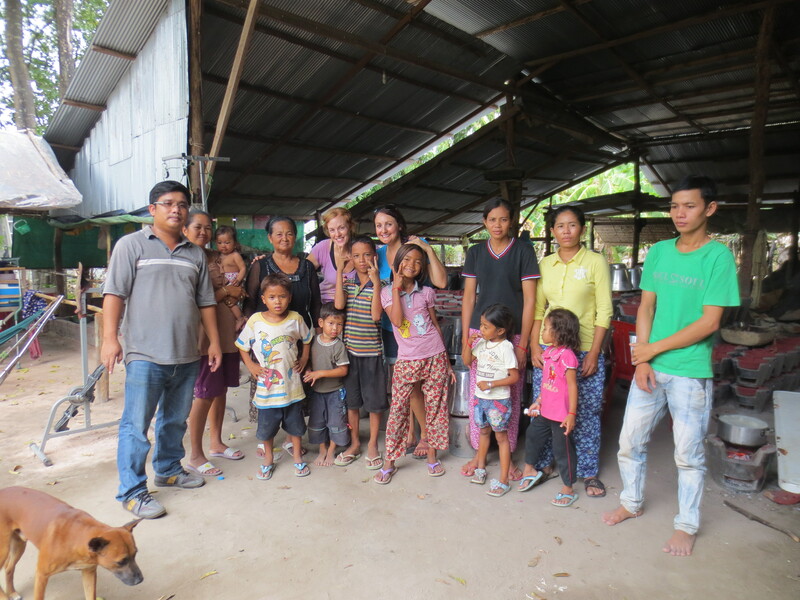 More than anything, I was impressed by the warmth with which we were received. 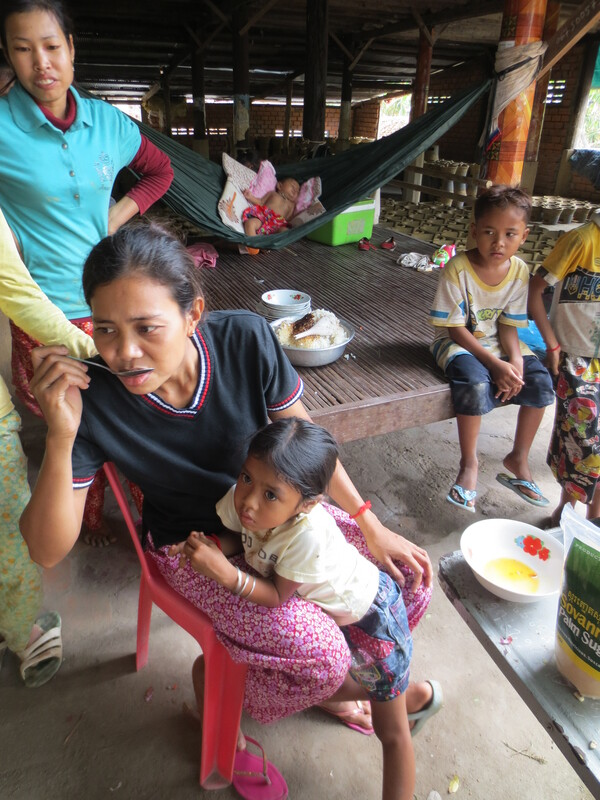 At first difficult to find our common ground, in no time we were taking turns tending to the stove and comforting the baby, all anxiously awaiting a meal to share. The result was fusion stripped down to its core, peppered with laughter and garnished with cultural exchange. 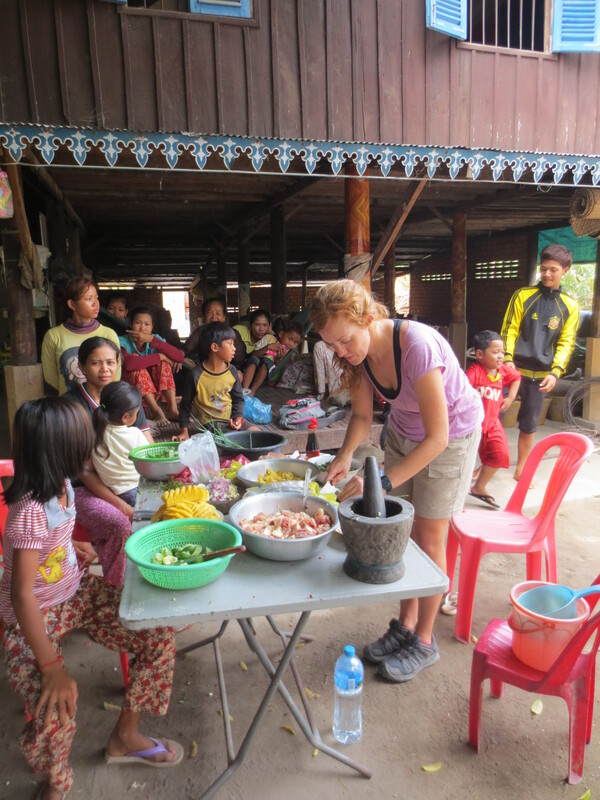 With a few new culinary tricks in my back pocket, and an unforgettable experience, we pedaled off into the sunset with a new respect for Cambodia, its people, and the work GERES leads within the community. Combine garlic, ginger and salt in mortar and pestle, and mix until ground together. Or, crush together using the side of your knife on a cutting board. Next, mix all ingredients together in a large bowl and stir to combine. Heat oil in a large wok or skillet over medium-high heat. 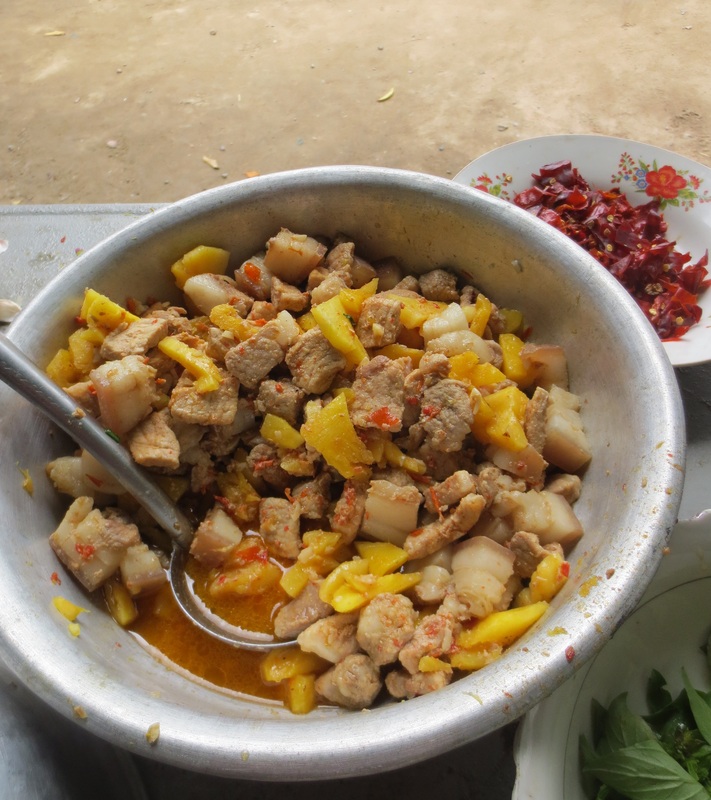 Add pork mixture and stir-fry until pork is cooked through and pineapple is tender, about 10-15 minutes. Add more soy sauce and palm sugar to taste. Squeeze lime juice into pan to finish. Serve with rice. Home is where the heart is, and to be specific, you’ll find it in the kitchen. 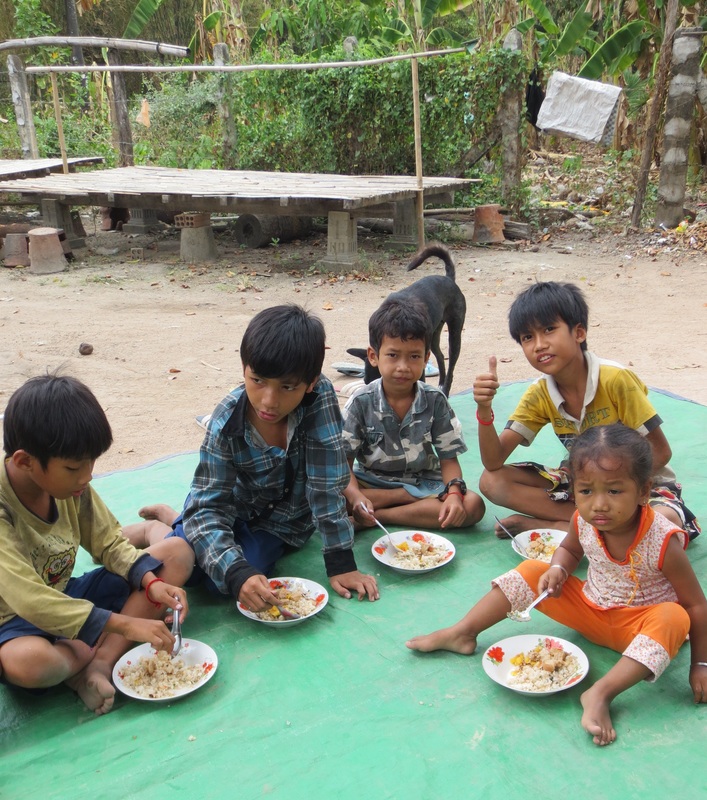 Food is love, and it’s the shared experience that brings us together. Upon first arrival in Korea, I became more aware of the differences rather than the similarities between the East and Western ways of life. The fork was a forgotten ally and portions were relative to the group size. Ready to soak it all in, I slid off my shoes and gazed up from the floor to a whole new way of life. In the exploration of ovenless kitchens and a market ruled by kimchi, I set out to bring along an audience. Thai Curry in Korea gave me the opportunity to justify my weekly indulgence in hopes of sharing a bit of insight into cooking foreign food in Korea. We all need to find our happy place somehow, and particularly when abroad, food never fails to comfort the soul. As my time in Korea comes to a close, I am drawn back to the idea that food is a common denominator. It transcends cultural lines and unifies a group. Something shared and something savored. Across this virtual table, I hope that Thai Curry in Korea has provided its readers with recipes, ideas, and perhaps a chuckle on a rainy day. After leaving Korea, this may be the end of the blog as we know it, but much like the cheeseburger, it’s never too late to reinvent oneself. 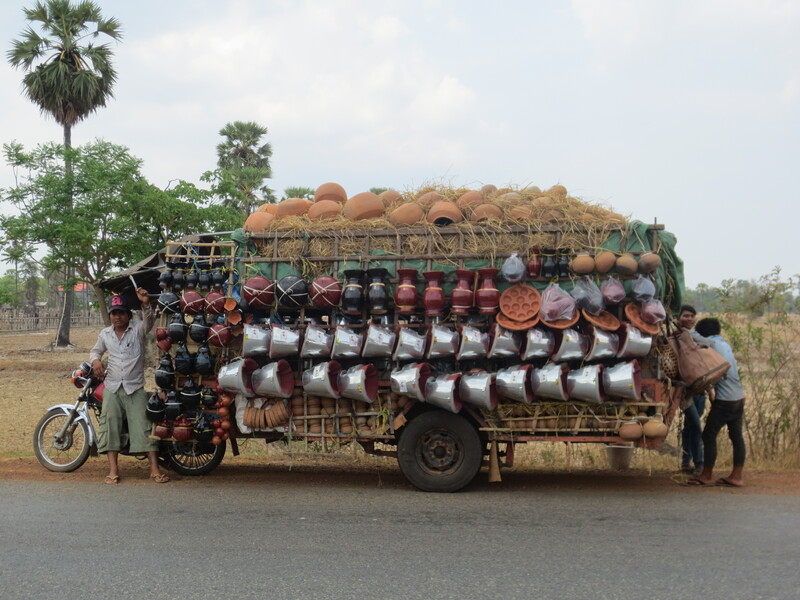 In the coming months I will be taking on Southeast Asia: by bike. I’ve heard there’s a guarantee of at least 20 miles per burrito, and I will find a way to consume one. Stay tuned for cooking trials and tribulations born from a whole new set of rules. Thank you, dear readers, for the support your views have given me over the last 17 months. I look forward to version 2.0. and I’ll keep you posted as it takes shape. Peanut butter and jelly is one combination that America has stamped its name on. A sustenant combination of non-perishable spreads, it’s the poor man’s wonder and the picnicker’s joy. Quite honestly, I don’t care too much for peanut butter, but when mellowed out with just the right sweetness it certainly strikes my fancy. Jelly works, but chocolate is my preferred match. Something about the salty peanut butter with sweet chocolate is clearly addictive. So much so, that without Reese’s Peanut Butter Cups, my life is devoid of all purpose. Motivation dwindles and the threshold of enjoyment is pushed to an unacceptable level. 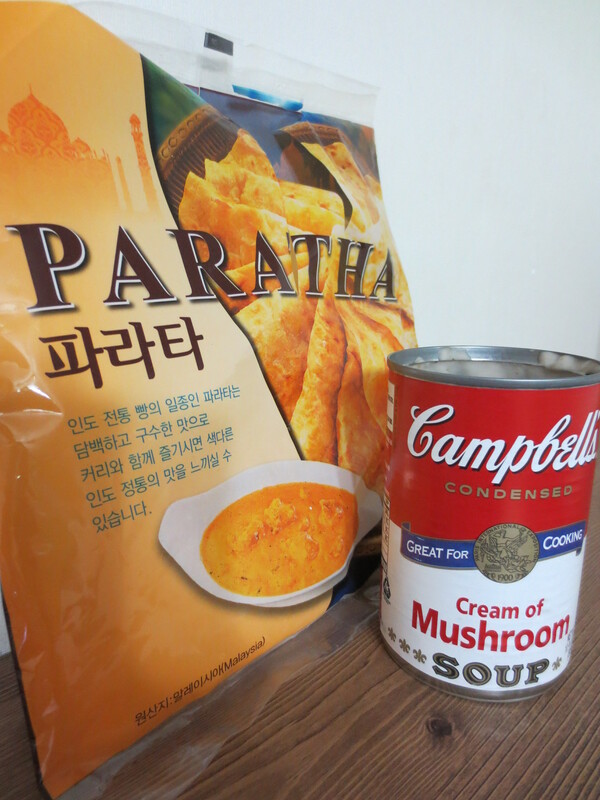 Since moving to Korea, I have sought to get my PB & C satisfaction wherever I can – stocking up on visits to the army base and relying on imports from my dearest friends. I can’t deny the fact, however, that it’s still not enough. Last spring, we made a somewhat groundbreaking discovery. It was that if you put granulated sugar into a blender and pulse, you actually end up with a blender full of powdered sugar (a rarity here). This lent itself wickedly to cream cheese frosting, and now is making a return appearance. With this little kitchen trick, it’s 100% possible to make your own version of peanut butter cups in Korea. And, in under 15 minutes. 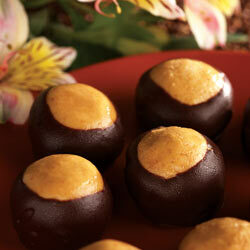 Known at home as “buckeyes,” I’m afraid to say it, but they may even be tastier than Reese’s. 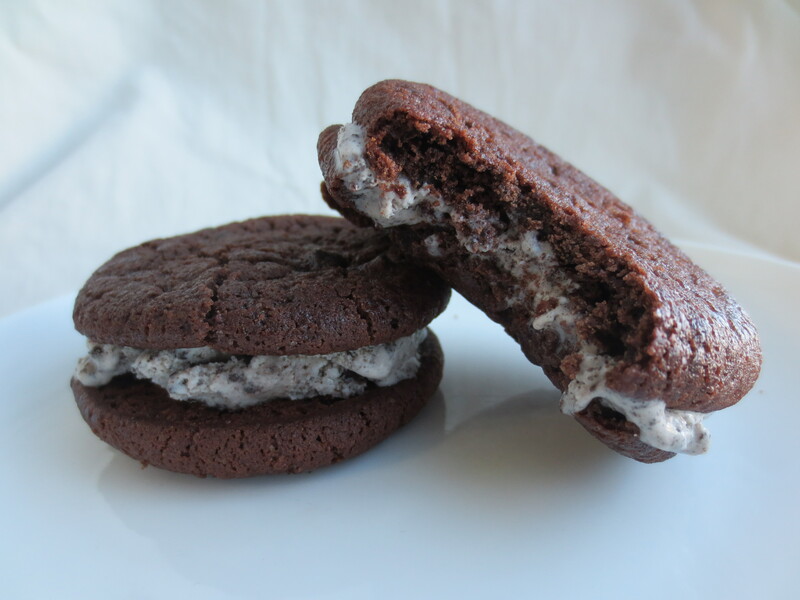 Super soft and creamy, you can even freeze a batch to keep around for later. Note: The recipe calls for the peanut butter mixture to be balled and individually dipped into chocolate for the full effect. I’m lazy and operate typically in a craving-fueled frenzy, so I just slapped mine in a dish as layers. Either way suffices. The intended end product. Fancy. 1. Combine peanut butter, butter, vanilla and salt in large bowl. Beat with an electric mixer on LOW until blended (I mixed with a fork) . Add 2 cups powdered sugar, beating until blended (Wear out your arm muscle with that fork). Beat in additional powdered sugar until mixture, when shaped into a ball, will stay on a toothpick. Shape into 1-inch balls (Or, spread in an even layer in a dish of some sort – I used a large Tupperware). Refrigerate. 2. Place chocolate chips and shortening in microwave-safe bowl (Break Ghana bars into chunks, place in microwave-safe bowl along with butter or margarine). Microwave on MEDIUM for 30 seconds. Stir. 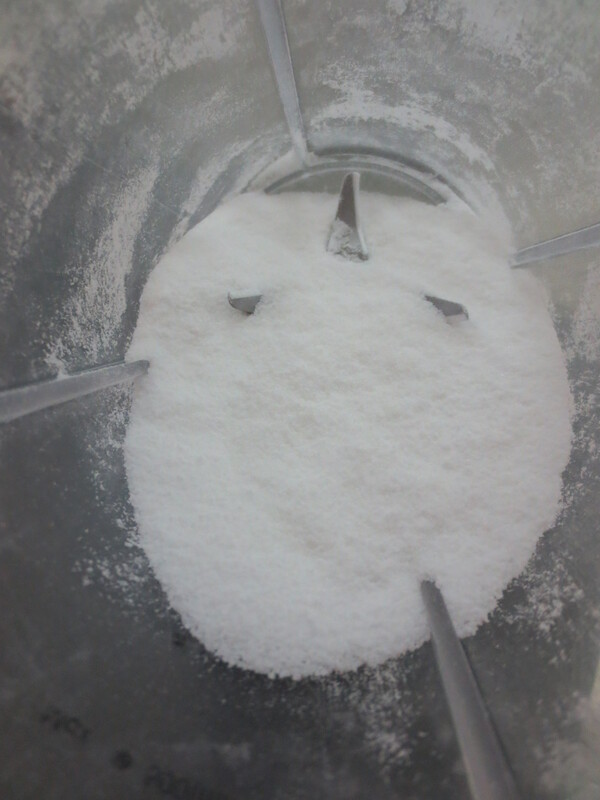 Repeat until mixture is smooth. Reheat as needed while coating peanut butter balls. 3. 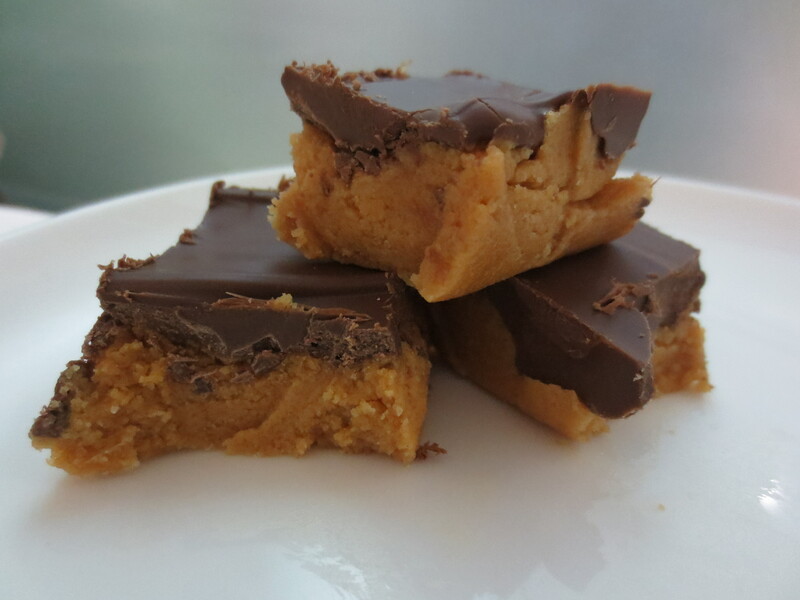 Smear that chocolate goodness all over the layer of peanut butter, refrigerate until firm, then cut into squares. The whole is greater than the sum of its parts. These days, it’s all about fusion. Peking duck tacos and curry vinaigrette. An affiliate of reinvention, sometimes it’s all that’s left to forge ahead. Using new ingredients in unexpected ways not only crosses cultural barriers, but elevates our taste buds as well. 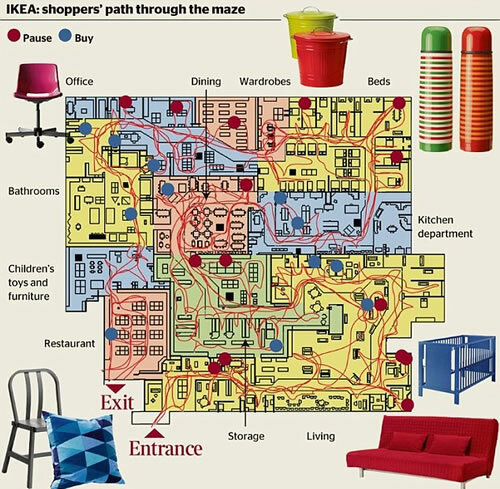 A method used by pros to forge new ground, in an expat’s situation it’s built right in. Substitution is the name of the game and if you can’t get creative you’re doomed to a life of cereal and steamed rice. Ample time spent with my new English, Irish, Kiwi and South African comrades made me aware of one area in which the US is lacking. It’s ability to employ pastry for more than just after-dinner delights. Sure, we’ve all been to a party with pastry-wrapped brie, but it would probably cause a stir to break through a crust and puncture a mushroom. Happy to have been introduced to the realm of steak and ale, chicken and mushroom and Shepard’s pies, I embrace them wholeheartedly. Particularly when it rolls around to the comfort food time of year. I’d been craving a pie recently, and I had some cream of mushroom soup to use up. I was thinking it’d be just the thing to whip together a filling, but I was faced with one glaring void regarding the crust. 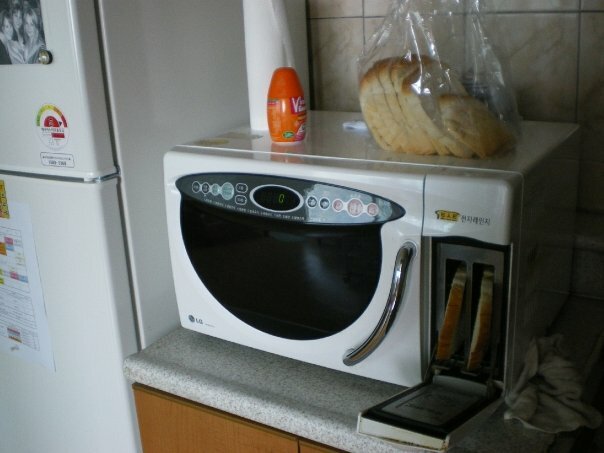 The lack of an oven. Realizing I had just the thing, I scurried home and pulled out the parathas from my freezer. Now, these are a discovery I made about a year ago. 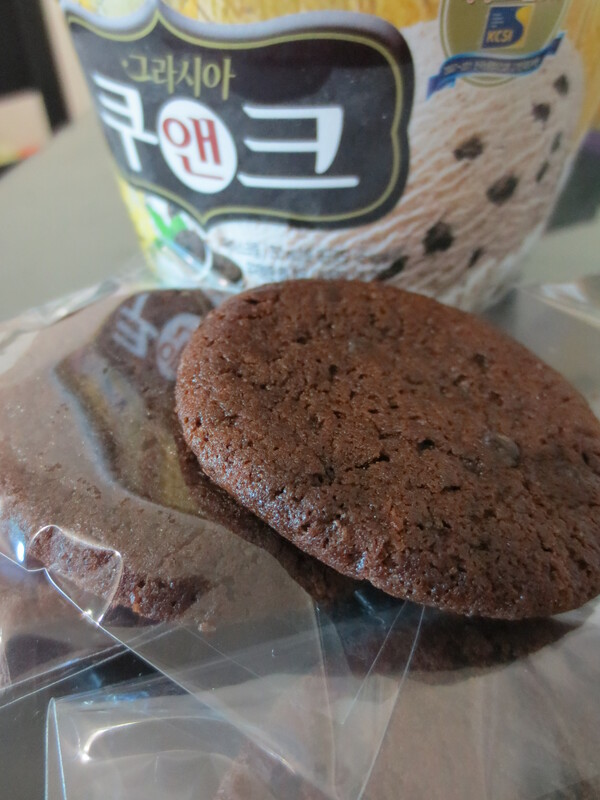 Available from both Emart and Homeplus, they’re a tasty little treat. 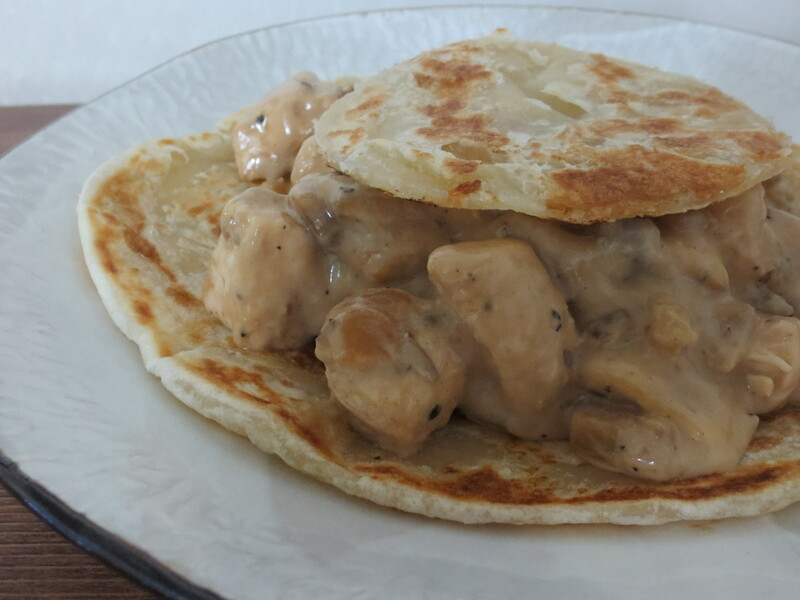 With Indian roots, they’re a flat bread intended to serve with curry. The ones of the Korean variety I’ve noticed have a particularly buttery crispness. One that would perfectly jive as puff pastry. I threw together the filling, quickly browned the paratha and we were in business. The next best thing to a warm bubble bath on a cold autumn eve. Stay tuned for my alternative for a tub. Heat onion in a medium-sized skillet over medium heat. Add the onion and saute until softened and beginning to brown. Add mushrooms and continue to cook another 3-5 minutes. Toss in the chicken. Continue to cook until all bits are cooked through. Pour in soup, Worcestershire, herbs and stir to mix. Season to taste. Allow to heat through, about 2-3 minutes. For a treat, you could also stir in some cream cheese. Season with salt and pepper and remove from pan. Set aside. Heat another dry skillet (or wash and heat the same one) to medium heat. Place the frozen paratha flat in the pan. Allow to cook until starting to crisp around the edges and puff slightly, then flip. Repeat until paratha is browned on both sides. Remove from heat and cut a circle out of the middle. Fill the hole with the reserved filling and top off with the crispy circle. It was just the welcome I was looking for. This past summer, it was time for the long-awaiting trip to visit home. After 18 months, I would be able to catch up with the ones I love. I slotted in Colorado first, and the plan was to head straight up to the backwoods for a dose of mountain air, wide vistas and good company. A friend scooped me at the airport and it was go-time from the moment I sat in the front seat. Being the rock star that she is, she’d emailed my Korean counterparts and taken suggestions for the most pined-after snacks. She had a selection at my disposal for the drive up to the mountains. I was greeted with mini wheels of cheese, Cape Cod’s finest chips and chocolate-covered pomegranate bits containing just enough anti-oxidants to cancel out all fattening properties. We made our way through the dark curves of I-70 and miraculously arrived at our destination. Following our friend’s nondescript directions to a long driveway and some Christmas lights smack in the middle of a cellular dead-zone, it was nothing short of a miracle. Upon arrival, we left the vehicle behind and hurried over to reminisce beside a cranking bonfire. 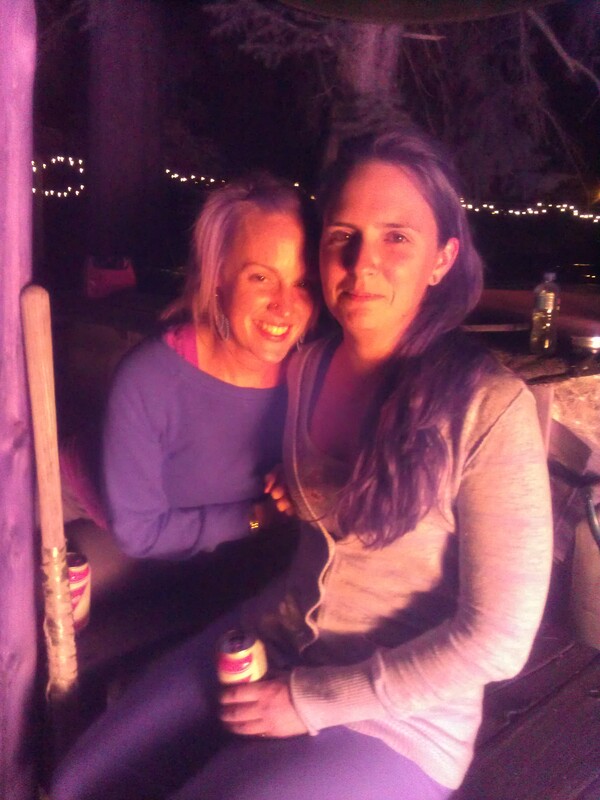 Flanked by great friends in a perfect setting, I was content. That is, until our Budweisers ran dry. About the time we ventured inside to replenish the stocks, I found out just how much more was in store for me. Scattered about the counters, I encountered the remnants of a neighborhood BBQ earlier in the day. Deviled eggs, venison brats — it was the embodiment of the land I love. How I had dreamed of this moment! Wasting no time, I dove in and did a number on the leftovers. It was then that I encountered the holy grail. Shrugged off as a picked over mess, I hadn’t really taken note of the pile of crumbs. One taste, however, and I dove in deep. 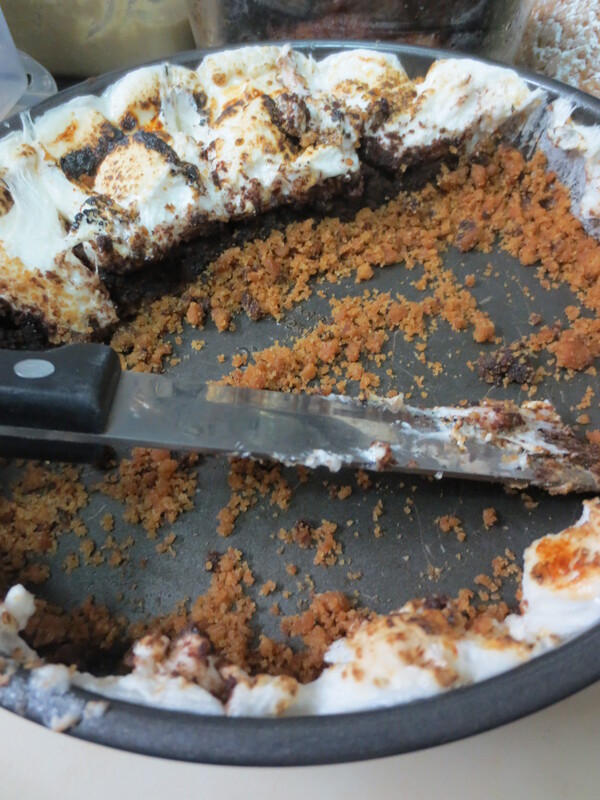 Deep into that ooey, gooey, chocolate-y rendition of s’mores. God Bless the U.S.A.
Back in Korea after the trip, I’m left with many fond memories. And many unrelenting cravings. 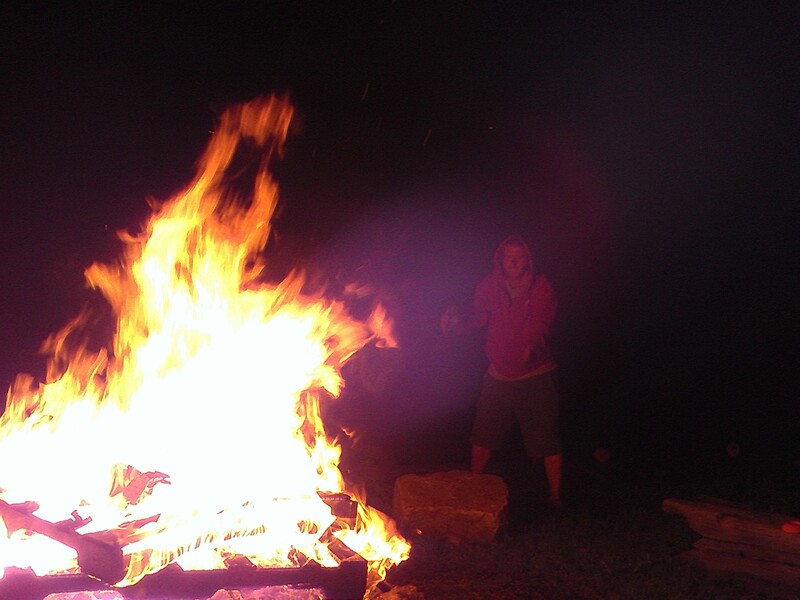 This weekend, it was time again for a fire. 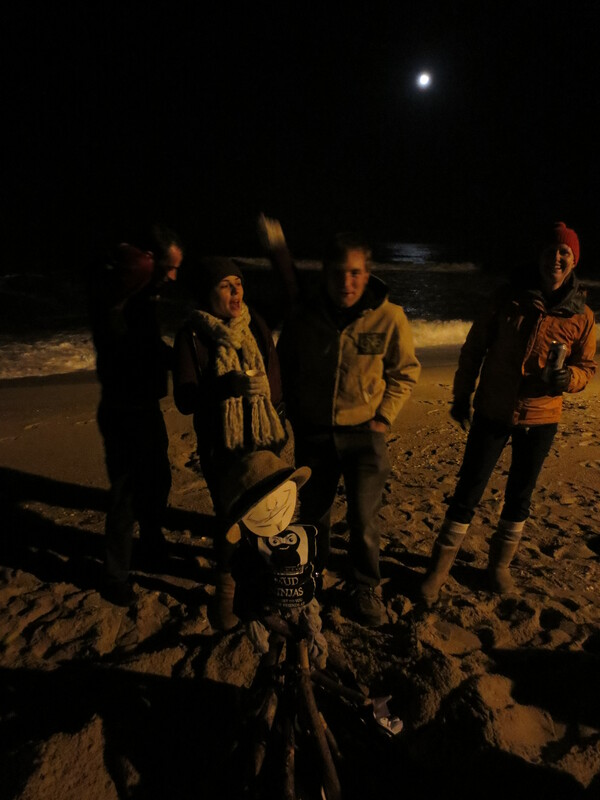 For a Korean version of the British holiday Guy Fawkes Night, we gathered on the beach. The holiday celebrates the triumph of the monarchy after a dissident tried to blow up their parliament. The plan was for a feast, followed by a burning of the guest-of-honor — a cardboard effigy of Guy Fawkes himself. Thinking nothing pairs better with homicidal arson than a chocolate-y mess, it was time. Time to take on the masterpiece. 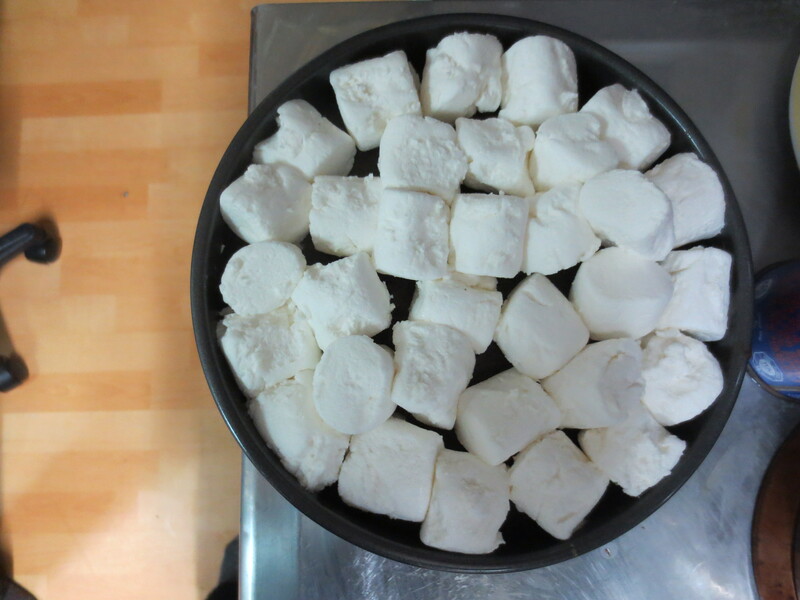 A friend made his contribution to the event by shipping in some marshmallows, by way of Costco in Seoul. I’m told you’re also likely to find some at HomePlus or Emart. In the spirit of things, however, it was only appropriate to employ the Rocky Mountain’s finest as a nod to the dish’s roots. Starting first with crushed Diget digestive cookies, you make a base. Following the crust, you add a layer of brownies. When it’s all baked together, the magic happens. You pile on the marshmallows and torch those babies up. Upon sharing this dish, I was propositioned with marriage, under the pretense that this creation could be our wedding cake. Later, I was told that one party-goer (who shall remain anonymous) was found in a corner siphoning all remaining crumbs into his mouth. I think it’s safe to assume they shared my sentiments. Combine the crushed cookies, butter, and sugar until mixed evenly. 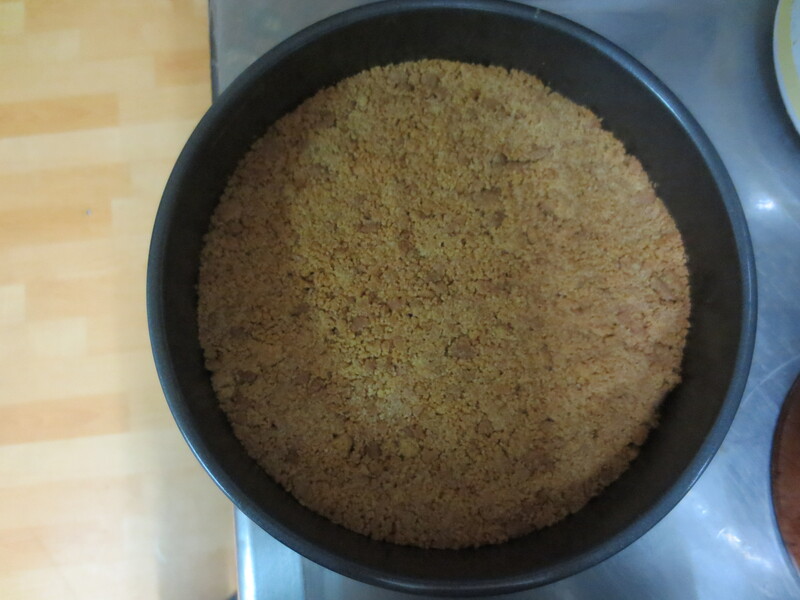 Press the mixture into the bottom of the cake pan. Toast in the oven just briefly, about 5 minutes on 175C/350F. 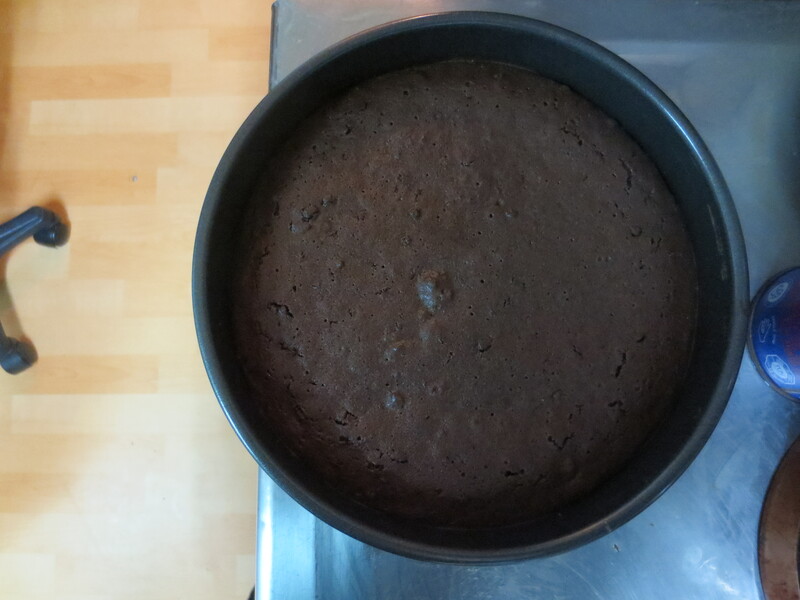 While the crust bakes, make brownie mix according to package instructions (the Tous les Jours mix only requires water). Remove crust from oven. Spread the brownie mixture over the cookie bottom to form an even layer. Bake according to package instructions. When the brownie has cookies through, again remove the pan from the oven. 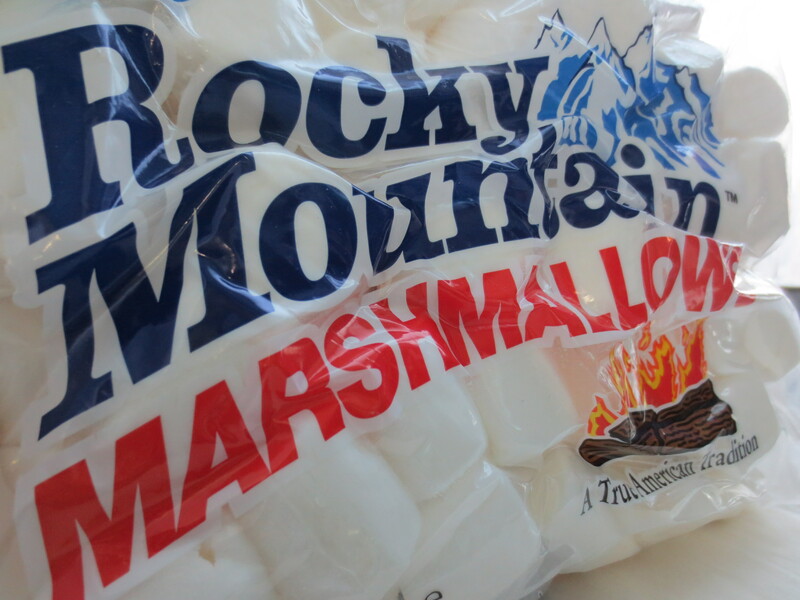 Top the whole thing off with a layer of marshmallows. Throw it back into the oven one final time, for only about 3-5 minutes. 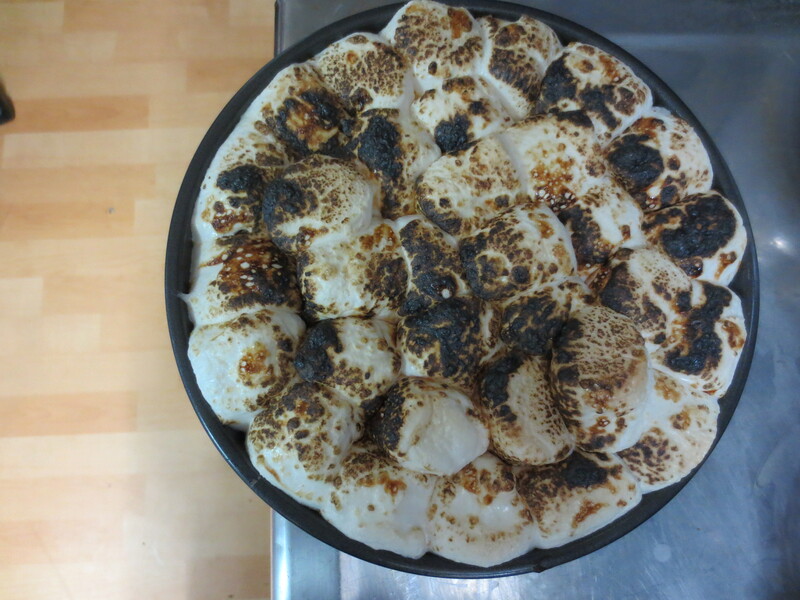 The marshmallows should puff slightly.